There are quite a few things that get me excited in the world of interiors… a concrete floor, black cladding, little rustic cabins or architectural houses surrounded by nature and minimalist design are all things that I find extremely pleasing. 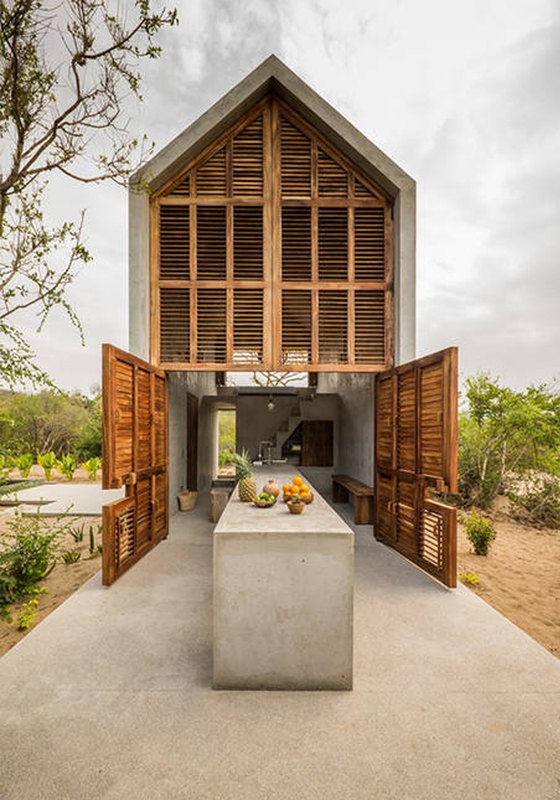 As such Casa Tiny located on the Mexican coast ticks several of my boxes with the added value that you can book it on Airbnb! So if you are planning to travel to Mexico, make sure to bookmark it. Inspired by Henry David Thoreau’s “Walden”, Casa Tiny is a place to escape from society, enjoy a simple life for a couple of days, a week or a month in this minimal, low-impact, isolated abode. Ideal for people looking for a remote place to escape the city, casa tiny has everything you would want: a large big table outside to eat with friends, a hammock to enjoy your favourite book, a pool, a pizza oven and a private beach nearby. Not far from the striking Casa Wabi, designed by Architect Tadao Ando and hotel Escondido, Casa tiny is a minimalist oasis. If you’re after this kind of getaway experiences, then Casas Na Areia in Portugal offers similar settings and design. However, if you’re off to Mexico, you can book Casa Tiny on Airbnb here. What do you think? Fancy staying there for a few days?